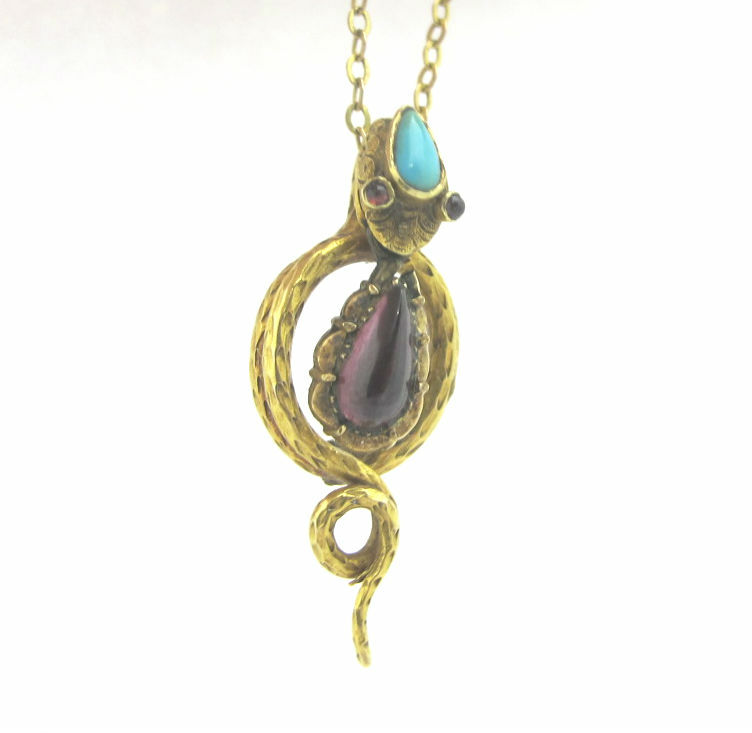 14k gold, garnet and turquoise pendant, formerly an antique stick pin. Orphaned earrings and forgotten stones of yesteryear can be given new life and updated to fit your current style. Are your treasured family heirlooms languishing in dusty drawers or a stray safety deposit box? Using your existing pieces and ideas, we can create jewelry that will be again worn and enjoyed: a new piece with all the sentiment of your heirloom. Repurposing begins with an appointment where we can discuss your ideas and take look at your existing jewels; please call or email us to set up a time to visit.